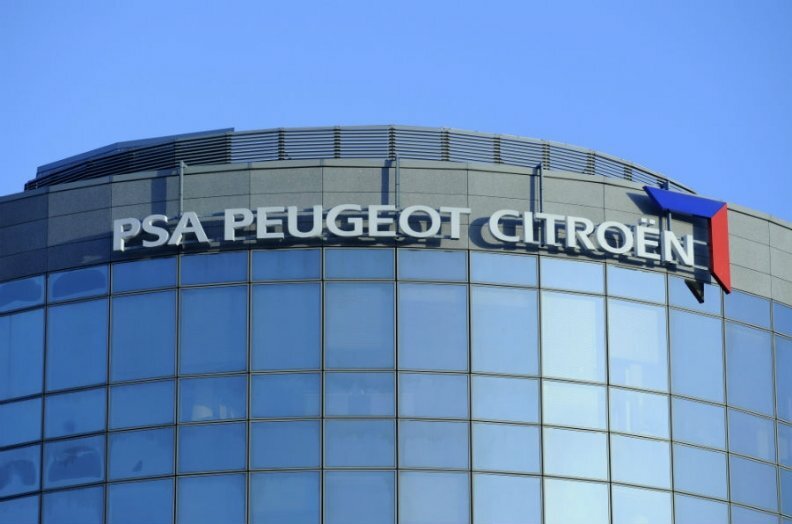 PARIS (Reuters) -- PSA/Peugeot-Citroen will open an engineering center in Morocco and may build cars in the country as part CEO Carlos Tavares' plan to reduce costs and return the automaker to profit, sources said. PSA will outsource some r&d functions to a new center in Casablanca run jointly with consulting firm Altran, two people familiar with the plan told Reuters. The automaker is also considering eventual investment in low-cost vehicle assembly in Morocco, the sources said. The r&d center will specialize in non-core functions such as computer-assisted design, modeling and technical documentation. "Morocco is on its radar," one source said. Moroccan officials are in "serious discussions with several carmakers including PSA." A PSA spokesman said there were no plans for a low-cost assembly plant and would not confirm the Casablanca r&d center. Paris-based Altran, an engineering services specialist, said there was "no new contract" with PSA and declined to respond to further questions. French rival Renault has a car factory on the Moroccan coast in Tangier. Sascha Gommel, an analyst for Commerzbank, said the move would lend support for product development for PSA’s cars in North Africa and the Middle East. "Besides saving costs, adding engineers in Morocco will help PSA to target North Africa and Middle East markets better and offer a more local flavor to their cars. It is part of their efforts to develop cars for local tastes instead of just for Europe," he told Automotive News Europe. Gommel said PSA would also use the engineering talent to develop platforms and technologies for PSA’s operations worldwide. The Moroccan r&d move would be an important step for PSA as it seeks to regain competitiveness, and a symbolic win for the North African kingdom reflecting its growing industrial sophistication in sectors such as cars and aerospace. But any impact on jobs in France, where PSA is already reducing its engineering workforce, would be unpopular with unions and sensitive for the government. Heavily reliant on Europe for sales and production, PSA survived the region's six-year market slump only after a 3 billion euro share issue that saw the French state and China's Dongfeng each take 14 percent stakes. The slump for PSA was worsened by the automaker's dependence on the mid-market, where pricing and demand collapsed, while premium rivals and no-frills brands such as Renault's Dacia fared better. The Peugeot 301 and Citroen C-Elysee are the closest thing the company currently has to budget offerings. Both cars are built in Spain on the stripped-down architectures of pricier models. PSA's new Spanish-built C4 Cactus also signals a move by the Citroen brand into lower price points that may ultimately call for a similar shift on costs. "We can't sell cars in Turkey or North Africa that have been made in France or the euro zone," Chief Financial Officer Jean-Baptiste de Chatillon said in February, adding that the bailout would help "build capacity to serve regions such as the periphery of Europe." Soon afterwards, CEO Tavares pledged to double component sourcing from low-cost countries to 40 percent while maintaining 75 percent of the group's r&d activities in France, where they employed 14,500 workers last year. Before the capital increase announcement, the French government had approved a new low-cost plant as part of the pitch to investors, an official source said. While the low-cost plan remains live, its time frame has receded as PSA focuses on immediate restructuring challenges at home as well as a possible reopening of the Iran market, according to three sources with direct knowledge of the matter. With the French economy struggling and unemployment stuck above 10 percent, government sensitivities have been heightened by production plans that appear to leave PSA plants in Rennes and Poissy exposed to future cuts, sources said. A new low-cost production investment "is not one of the levers in our recovery plan," Tavares told Reuters last month, refusing to be drawn further. "We don't need it to meet our targets."